The City of Joy never made me bore, no matter how many times I’ve traveled here. Till now probably 11 times I’ve visited Kolkata. But still, Kolkata city tour is always fun. I consistently discover it in a new and different way in my every visit. Mostly, we all know there are lots of things to do and see in nearby. However, I’d like to be a bit insightful to describe the three of the main reasons I love being in Kolkata, India, and it is always fun. The oldest metropolitan city and the capital of West Bengal Kolkata ruled by the British long time (1773-1911). Now you can see many high-rise buildings and the modern lifestyle in New Kolkata (East Kolkata). However, Old Kolkata (North, South and Central Kolkata) is still charming and alluring to me and majorities with old architects, Bengali culture, and traditions. My favorites are always South and Central Kolkata. Wherever you go, the easy transport makes your tour much comfortable. 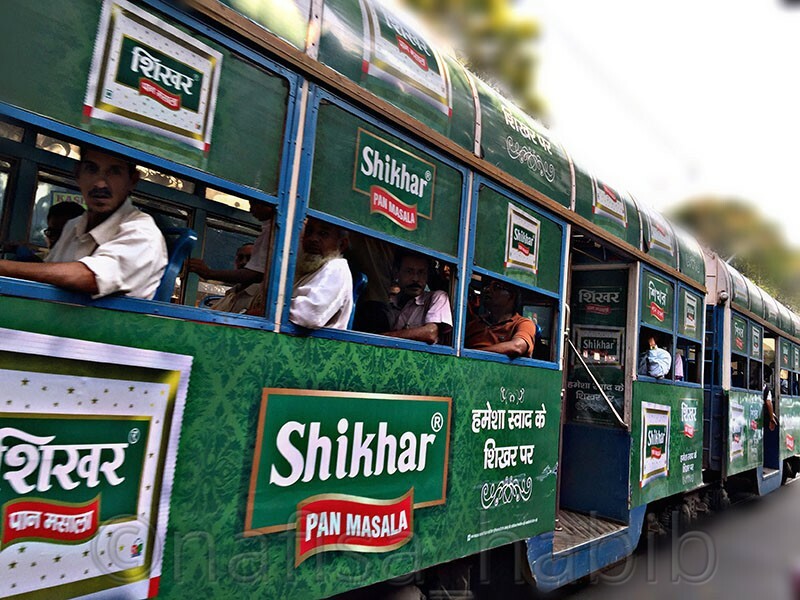 I found transport in Kolkata is just fabulous. 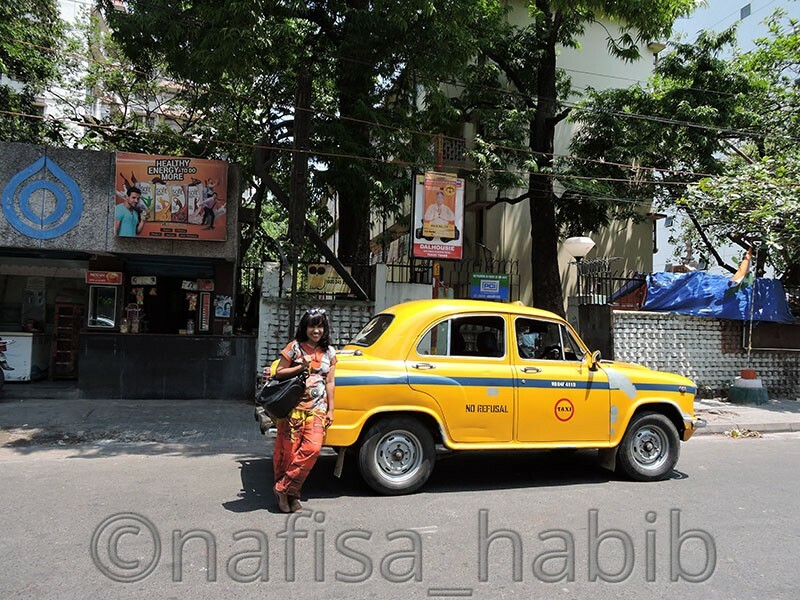 Cheap, comfortable and hassle-free transportation in Kolkata is the main reason I love moving around a lot here. Easy traveling as many types of public transport services is always available from the pulled rickshaw to yellow taxi, AC taxi, bus, train, auto-rickshaw, and metro. The oldest transport service is the tram. Kolkata is the only city in ‪India‬ where tram service still runs. Tram transport first established here in 1881. Mostly new tourists here comfort with yellow taxis where you can go with meter fare, started with 25 Rs. Alternatively, you can hire for hours also to move around the city. Even white cab (AC taxi) is cheaper to go for. You can go for any service according to your budget. Majorities in Kolkata go for local bus and train services where they follow ticketing systems. Though I mostly loved yellow taxi service for long distances but enjoyed tram service the most here. And then metro but overcrowded and very hard to find a sit but save your most valuable time by taking you swiftly to your destination. Comfortable short-distance transport service to me here is Auto-rickshaw. It cost per person 10 Rs. now, and four persons allowed to sit. One in front and three in the back seat. And the most important and good thing is that here you’ll find less traffic jam, and every public transport run by following proper systems and transport regulations. Great, right? I’m a great fan of street food in Kolkata. Kolkata can you hear me? 😀 And this are the great fun to me, standing/sitting in a corner of the road, eat like a boss under the sky. LOL… Yes, I just LOVE it. Street food is the most popular for all kinds of people here. Locals enjoy as well tourists. New Market area is one of the famous street food destinations in Kolkata. Here morning to night, you’ll find many types and varieties of cheap but hygiene street food. The traditional ways to decorate those food stalls are also interesting and will attract you too. If you were in Kolkata anytime, then you must have tried Spicy Milk Tea (Chai) which served in earthenware (Maatir Bhar). According to the pottery sizes, a small one costs 5 Rs. and medium 10 Rs. This is something you shouldn’t miss trying. 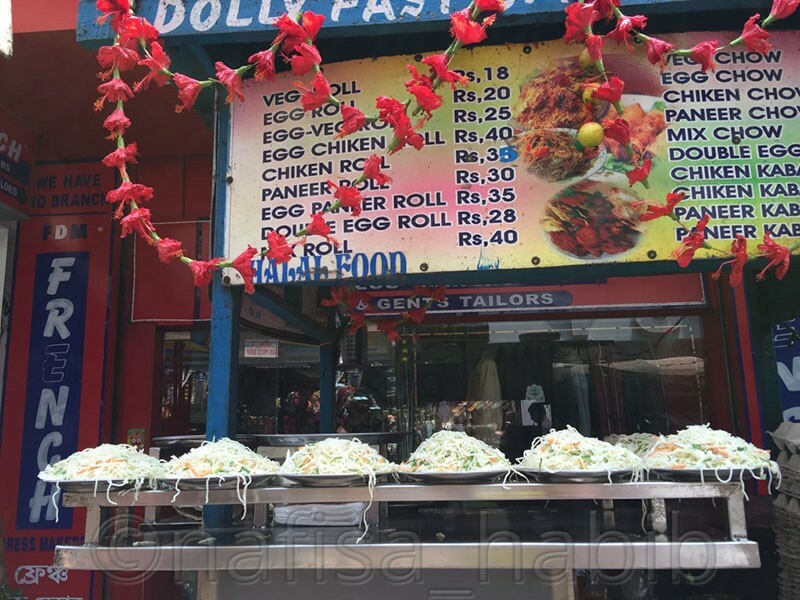 The hygienic way to serve tea is very common here and the yummiest one from the street food list. I like the Indian breakfast (Puri with Sabji), and Egg Rolls from Marquis Street. Momo from Sudder Street and Chow Mein from New Market Area. 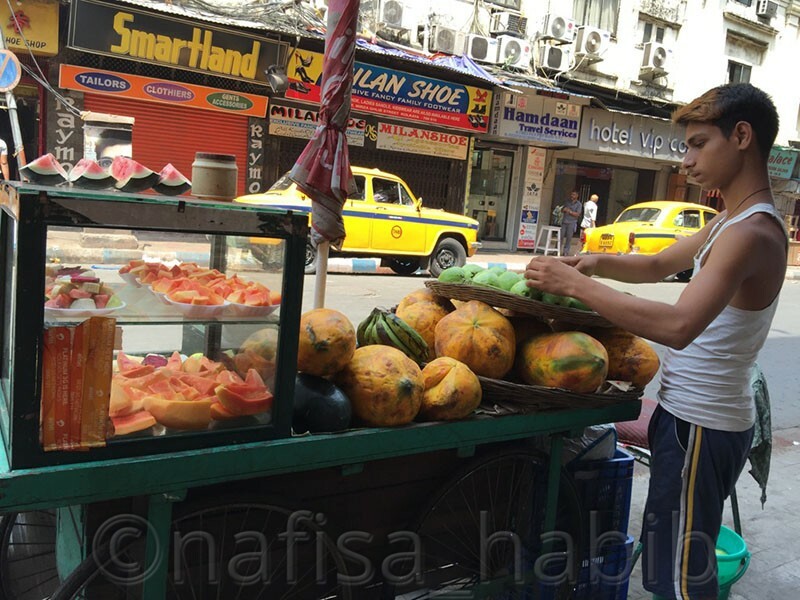 And seasonal fresh fruits and juices are my favorites always during summer in Kolkata. Cheap but taste more. How cool! 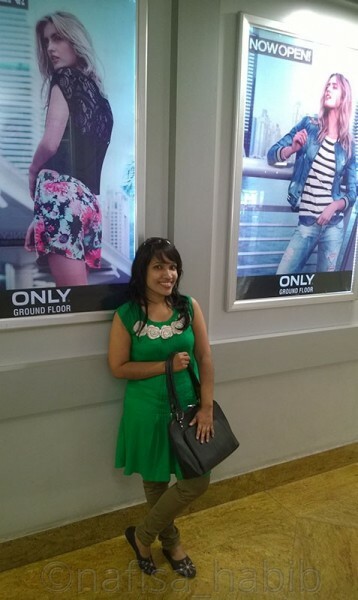 Shopping is the ultimate fun in Kolkata. There are many boutiques in every area. Kolkata is the popular destinations for bridal shopping too. Fancy to fabulous shopping all is pretty cool to enjoy. However, budget shopping rocks in Kolkata. 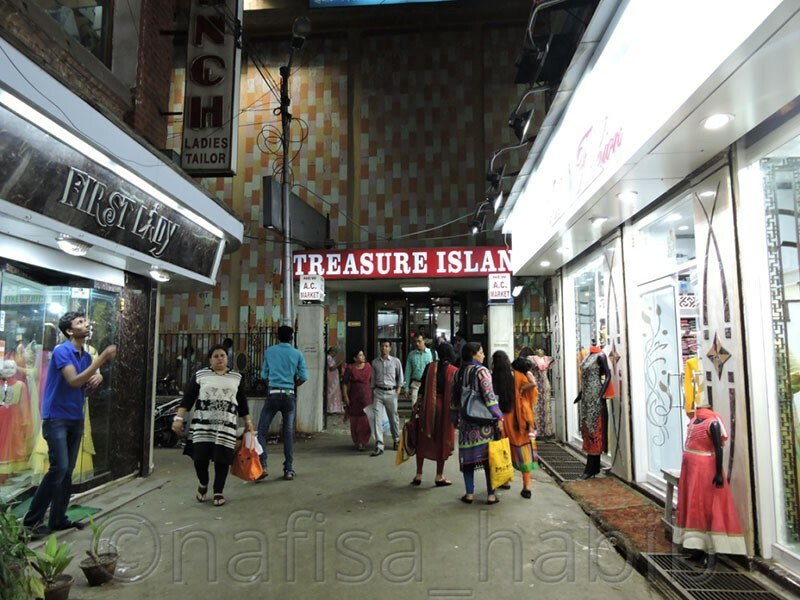 Cheap but quality shopping destinations are New Market and Gariahat Market. New Market is best for all kinds of commodities. However, you must go to Gariahat for quality Bengali Sarees and Panjabi collections. Adi Dhakeshwari Bastralaya is the oldest and famous shop for Sarees and New Panjabi Stores is the most trusted one for Panjabis. This time I enjoyed shopping in Treasure Island AC Market located in the New Market area. Here you’ll definitely love quality shopping at a reasonable price. And now talking about street shopping, pick and buy any fancy outfits from Gariahat Market, costs 100 to 450 Rs. 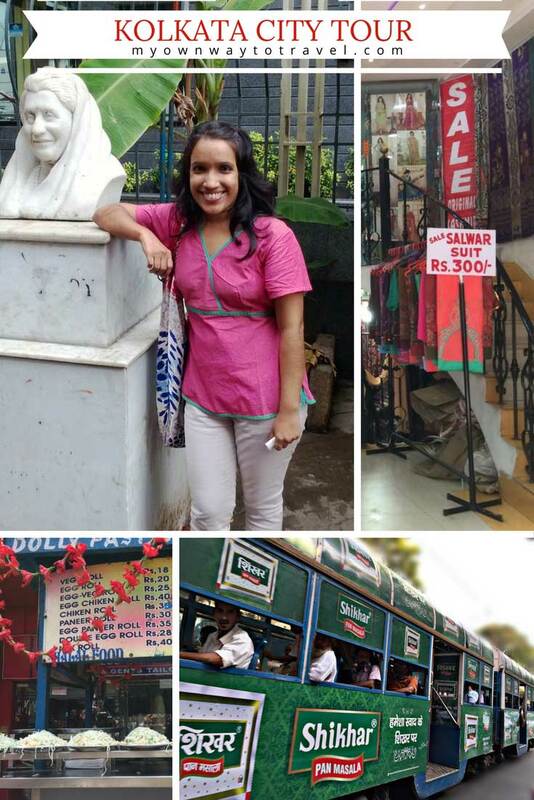 Last year I bought one green colored beautiful outfit from Gariahat street market, which costs just 100 Rs. Look at the pic below, I’m damn sure you’ll not believe. 😉 but it is. And my handbag is from Sreeleathers on Sudder Street. 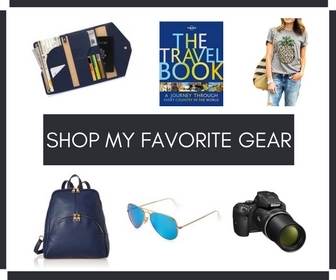 I loved their trendy leather travel bag collections for women. 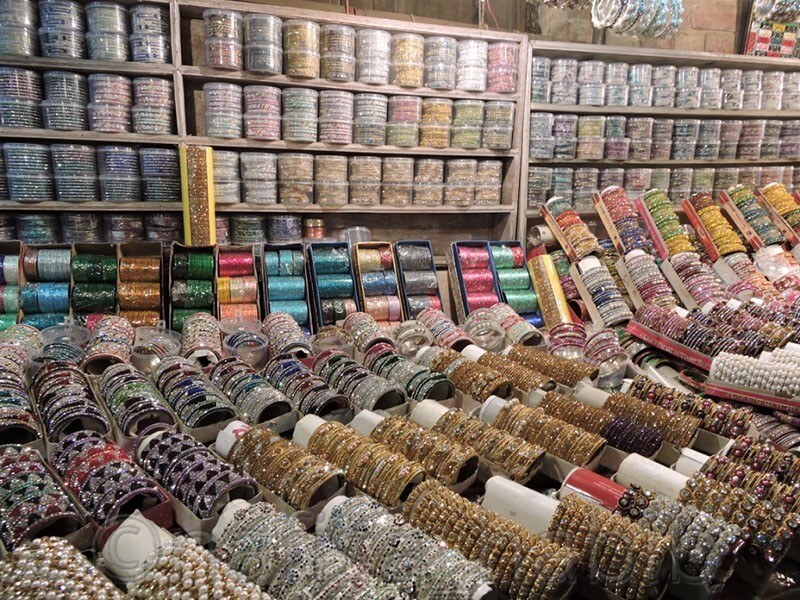 Indian jewelry, especially glass bangles and earrings with traditional or antique design are the most alluring to shop from the New Market street. Less pay, shop more. How nice! 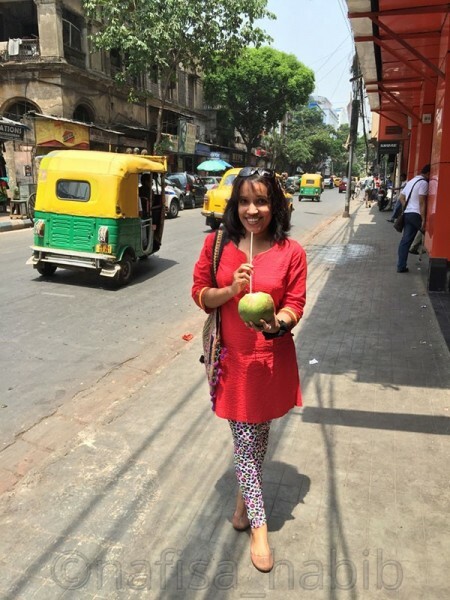 Lastly, yes, you all will be agreed Kolkata is not just for shopping and eating. There are also many famous landmarks and tourist spots to explore in the city nearby. And how about good accommodation? 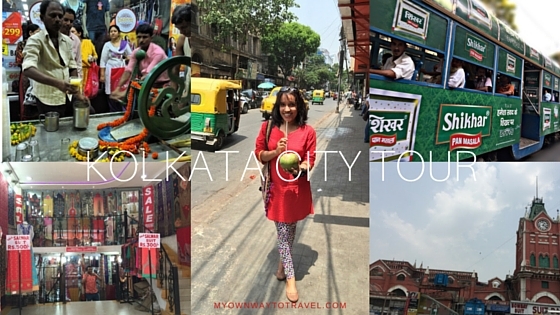 My Ultimate travel guide to travel in Kolkata will help you to get all the details. Share your thoughts. What is your most favorite fun activities in Kolkata city?